How can you increase vaccination rates in countries such as Nigeria where there are huge gaps in distance as well as trust between the national health care system and the rural communities? 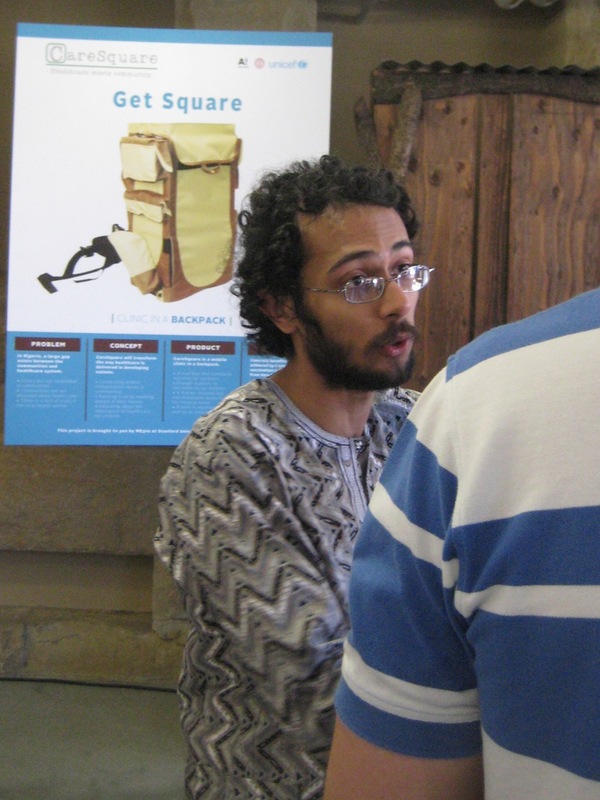 Last week I attended the end-of-academic-year Stanford University Design EXPE 2013. EXPE stands for EXPErience and is a once-a-year event where Stanford’s Mechanical Engineering Design Group “invites you to join us as we celebrate our students’ creative work in design research, design practice, engineering, and manufacturing.” I have attended these annual project fairs before, and they never fail to make me leave with delight, excitement and hope. To me, this is learning and education at its best. The section of the Design EXPE that I attended was the ME310 Global Design Innovation Program. ME310 is a program that brings together industry and academia to train graduate students at Stanford and global academic partner institutions to become tomorrow’s design engineers and innovation leaders. Over nine months, teams of US and international graduate students apply creative problem-solving and design techniques and tools and innovation processes to explore and solve real-world design challenges. During these nine months they experience first-hand multi-disciplinary and cultural diversity in a global context by collaborating with local and international teammates to create functional prototypes that show their solutions. Coming back to the challenge of bridging the health care system and the rural communities in Nigeria, this was not your typical ME310 mechatronics project. The ‘corporate’ partner for this project challenge was Unicef, the United Nations Children’s Fund. The students on the Unicef team came from Stanford and Aalto, a new multi-disciplinary university located in the Helsinki Metropolitan area, one of the World Design Capitals. The solution the team came up with after the initial field research in Nigeria and many brainstorming sessions and rounds of prototyping was a backpack that included all the tools needed to conduct a mobile immunization drive. 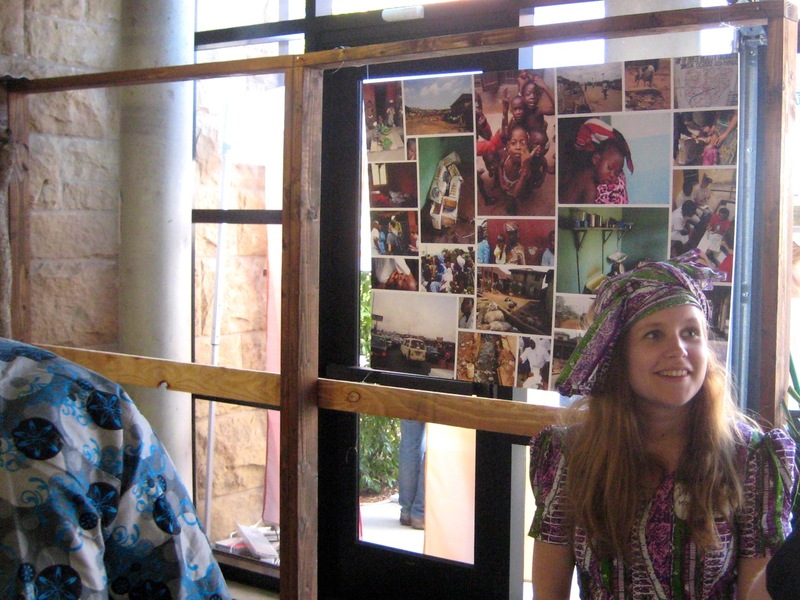 Another team of students worked on a project that was quite different from the Unicef challenge. 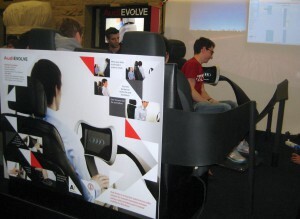 The AudiEvolve team was charged with ‘designing a futuristic autonomous vehicle cabin solution for smooth transitions between various cabin activities’. They had a booth with a working prototype using real car seats provided by Audi. The team’s solution included two parts: An interactive steering wheel that automatically switched between the manual driving and the autonomous driving mode by pushing or pulling on the steering wheel. It had also an integrated interactive tablet for use as an input device for working during the autonomous driving mode. The anticipatory driver’s seat had built-in sensors to anticipate when the driver wanted to rotate or recline. A copy of the paper of my research at the Pontificia Universidad Javeriana in Cali is available here (Building Creative Competence in Globally Distributed Courses through Design Thinking). Reinhold Steinbeck is a design innovation specialist, educator and researcher impacting the business, education, public and social enterprise sectors via design thinking. In addition to leading IntoActions, he is an instructor with the dGlobal at Stanford program and represents the Stanford University Global Design Innovation initiative across Latin America.